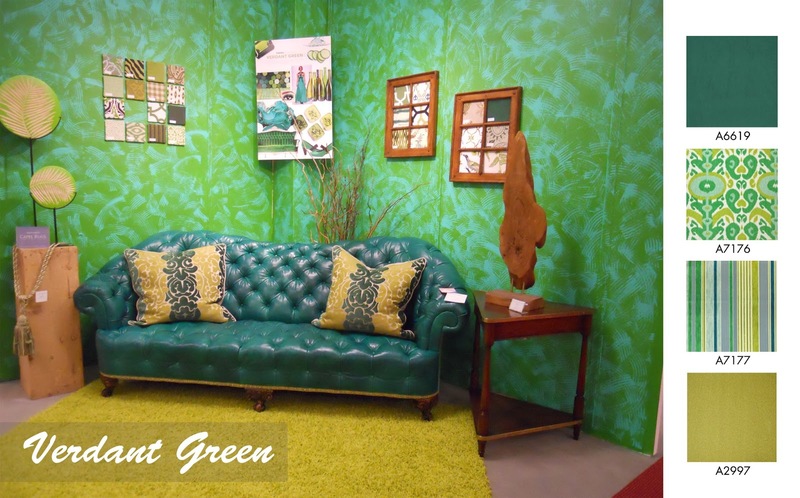 Bright greens, poppy reds, and royalty blues satiate the trend library at the June 2013 Fabric Showtime. Inspiration from the Proposte fashion show in Como, Italy influenced these color and pattern trends that were prevalent throughout the show. The ITMA designers exhibited these trends in posters which were then reflected in the showroom designs. Be on the look out for our New Fabrics Every Month, and check with your Customer & Fabric Specialist to see how you can make sure to get these great fabrics.